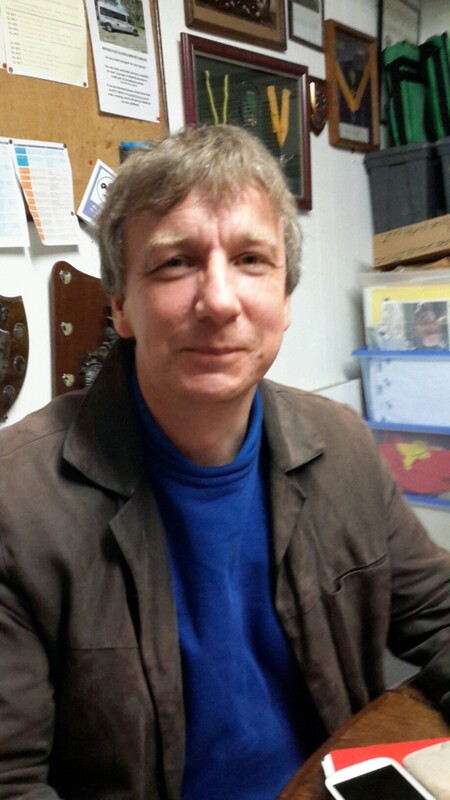 My name is Robin Carmichael and I am the Group Scout Leader for 1st Crowborough Scouts. My involvement in scouting started with 1st Crowborough when I was 8 years old and I joined Cubs (there were no Beavers then). I took an active part in all activities while moving through Cubs to Scouts to Ventures (now called Explorers). Trips abroad: to Montargis, France with the Crowborough Scout (marching) Band: and Maarssen, Holland of which one of the trips involved touring Holland by bicycle. Racing along Brighton seafront in the national scout car races. Taking part in many of the adventurous activities on offer through scouting including successfully completing the Overland Hike way back in 1981. When I was old enough, it just felt natural to continue on as a Leader with 1st Crowborough helping with both Cubs and Scouts. After I was married, I moved away but continued with scouting firstly with a group in Hastings and then two other groups in Swindon before moving ‘back home’ to 1st Crowborough where I have had the honour to be part of the formation and running of King Troop. Through Scouts I have made life-long friends and have enjoyed everything about being involved in the movement. I am proud to lead 1st Crowborough, a group whose strong history can be traced back to 1908. We should also remember that we are part of the largest youth movement on the planet (currently over 30 million of us) and represented globally in 216 countries. The Scout World emblem badge is on every one of those 30 million uniforms as a reminder of this. I would also at this point urge you to think about being prepared to give up some of your precious time to assist as I guarantee you will find it a rewarding experience. Whether it be in something active like Mountain Biking/Canoeing /Rock Climbing, creative skills like Art/Music/Drama, promotion of a group event or even as part of the supporters committee in the background, there is something there for everyone and we would really appreciate any help we are given. So I’m looking forward to meeting this challenge in my role and to meeting you all in future events.